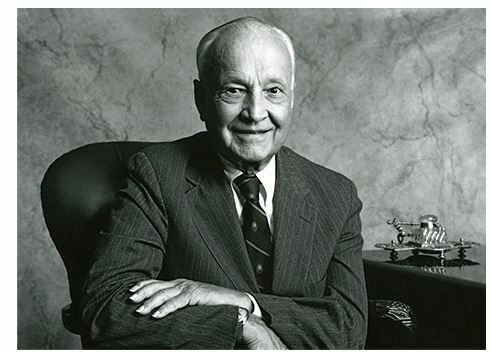 We should also think of Sir John Templeton investment strategy, an investor who opened the world of investment opportunities to individual investors. Templeton is a legend on Wall Street. He began his career at what many would consider to be a difficult time to break into the business, in 1938 as the market’s recovery from the Great Crash of 1929 was in question. The Dow Jones Industrial Average fell 50% that year, leading many to wonder if the bear market would ever end. 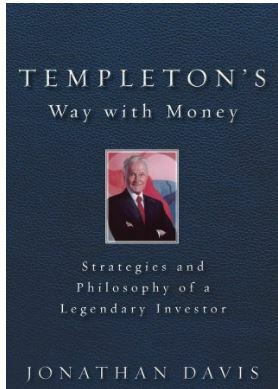 When the Second World War broke out in Europe in 1939, Templeton built a portfolio that would become the cornerstone of his legend. At that time, he borrowed money to buy 100 shares of stock in each of the 104 companies selling at one dollar per share or less, including 34 companies that were in bankruptcy. Only four turned out to be worthless, and he turned large profits on the others. He was believed to have earned 200% on that portfolio in just a few years. Templeton earned his undergraduate degree at Yale, where he had worked to support himself and fund his education. It was there that he developed his global investment philosophy. That idea became a multibillion dollar investment firm. When Templeton founded his firm, international investing was beyond the reach of individual investors. Now, of course, that has changed. Individuals can use exchange traded funds, or ETFs, to invest in foreign countries. An ETF is a basket of stocks that generally tracks an index and is available to trade just like a stock. ETFs exist for many single countries, for geographic regions of the world, and for global indexes that track sectors in individual countries or across countries. Individual companies are also available to individual investors as ADRs. ADRs are denominated in U.S. dollars, with the underlying security held by a U.S. financial institution overseas, and holders of ADRs realize any dividends and capital gains in U.S. dollars, but dividend payments in euros are converted to U.S. dollars, net of conversion expenses and foreign taxes. No matter where in the world he was searching for potential investments, Templeton looked for certain characteristics in the companies he invested in. He was looking for value, growth, good management, and conservative management. To find value, many investors focus on the price to earnings (P/E) ratio. This is a measure of how much an investor is paying for $1 worth of earnings. Ideally, from Templeton’s perspective, the current P/E ratio should be less than the five year average P/E ratio for the stock. This shows the company is cheap. But, the company should also be cheap relative to its competition. To measure this, the current P/E ratio should be below the average ratio of all companies in its industry. The industry can be measured with an index of stocks in the company’s home country or a global index. To find growth, the focus should be on earnings per share (EPS). Templeton liked seeing EPS growth for each year over at least the last five years. It is best if EPS are projected to increase in the current year. Again, there should be comparative strength in this metric. It’s not enough to find a good company. Templeton wants the best in the world. So, in addition to absolute EPS growth, additionally, the company should have forecasted earnings growth greater than the industry average. To find good management, Templeton looked at the operating profit margin. Operating margin is a margin ratio used to measure a company’s pricing strategy and operating efficiency. Operating margin is a measurement of what proportion of a company’s revenue is left over after paying for variable costs of production such as wages, raw materials, etc. It can be calculated by dividing a company’s operating income (also known as “operating profit”) during a given period by its net sales during the same period. “Operating income” here refers to the profit that a company retains after removing operating expenses (such as cost of goods sold and wages) and depreciation. “Net sales” here refers to the total value of sales minus the value of returned goods, allowances for damaged and missing goods, and discount sales. The company’s operating margin should be better than its industry average and showing steady improvement over the past five years. This is Templeton’s preferred measure of management quality. When a company’s margin is increasing, it is earning more for each dollar of sales. To find conservative management, Templeton looked at debt. Less debt than the industry average demonstrates to Templeton that the company is conservatively managed and likely to continue making money even in economic downturns. This is an important criterion for an investor who survived and in many ways prospered during the Great Depression. Templeton may not be as popular as Buffett or Lynch or other investing legends. But, his work should still be studied by serious investors to learn about value investing.